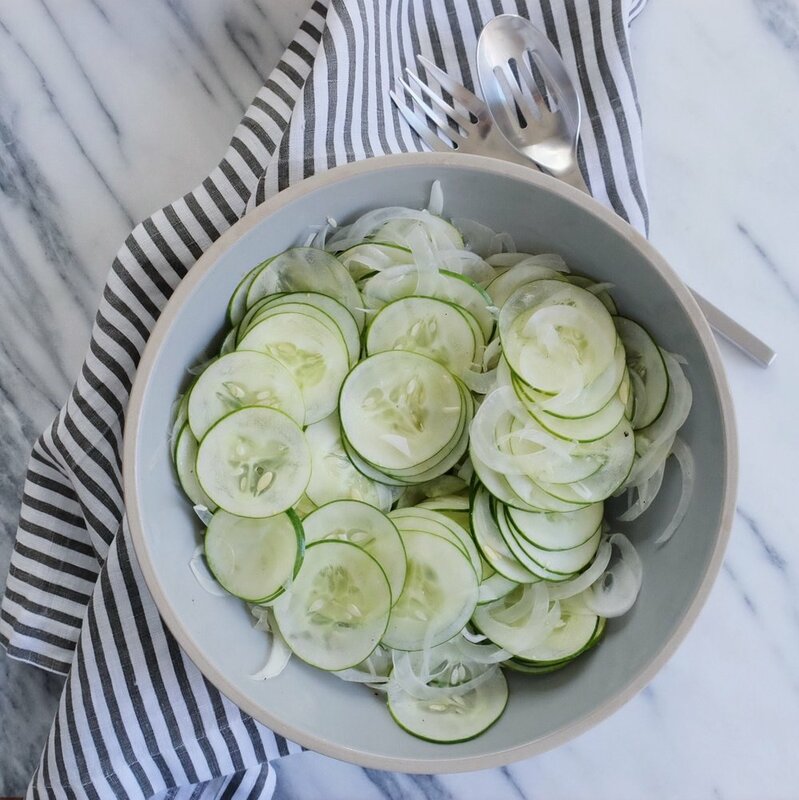 Cucumber Salad is one of my all time favorite salads – ever! I grew up eating this salad being made by both my Oma & my Dad and now, I love to make it myself. (Adam loves it, too!) 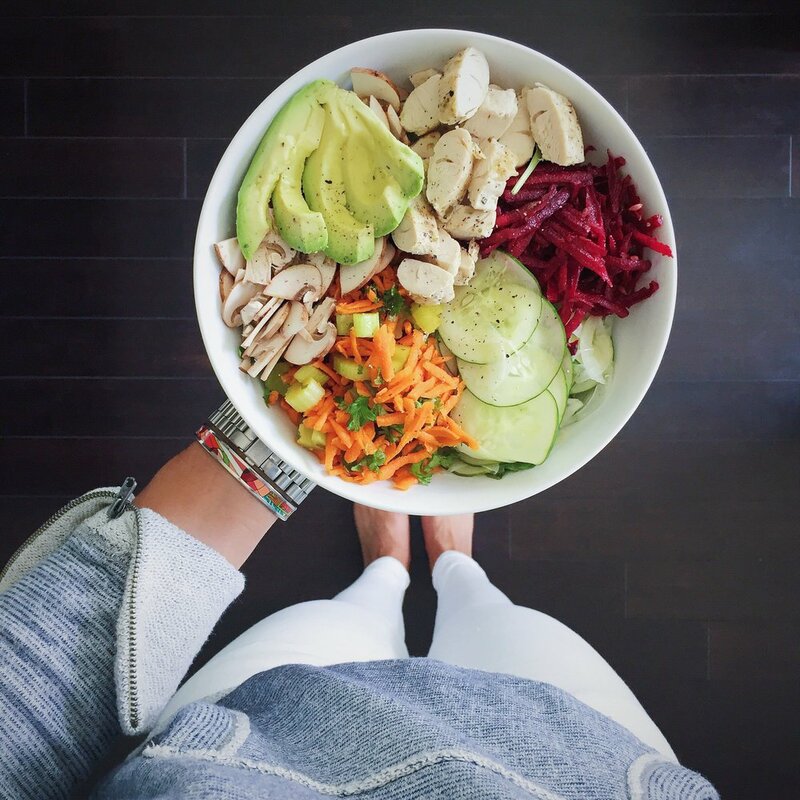 This couldn’t be a simpler salad to make, yet it is so satisfying! Cucumbers are one of my absolute favorite veggies and you can catch me eating them constantly. I love to munch on cucumbers + hummus. Add cucumber to my green smoothies and when I don’t have a batch of this salad made, I’m chopping up a cucumber to toss into my salads! 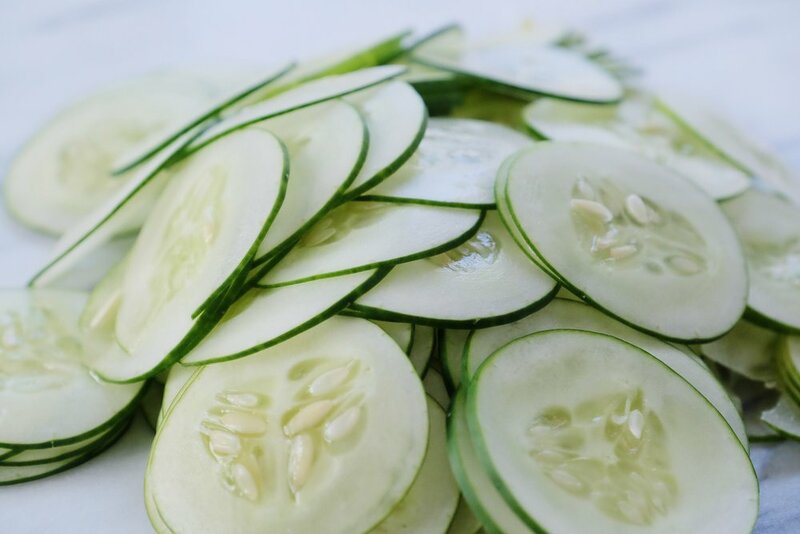 Cucumbers are loaded with water (about 95%) which means they are just another fabulous way to stay hydrated in addition to drinking plenty of water. 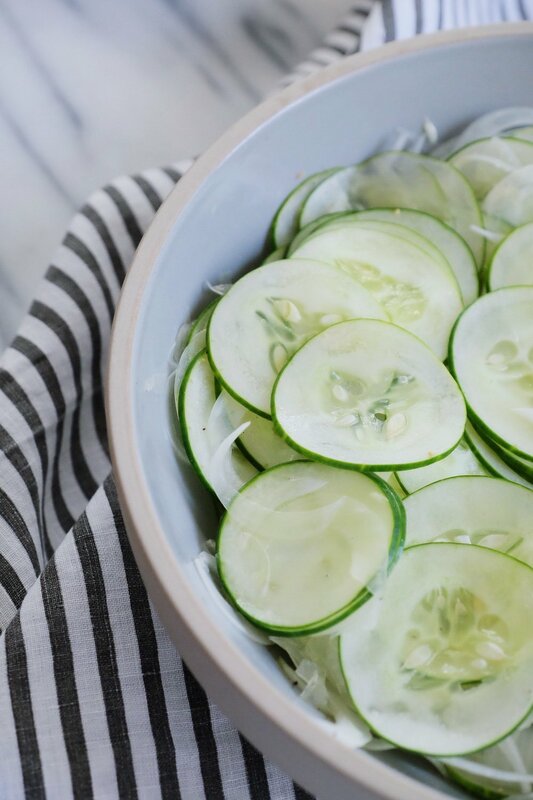 Cucumbers are full of fiber which helps with digestion + keeps you full longer. They are also a cleansing food, helping to flush out toxins + they are rich in skin-loving minerals like magnesium, potassium & silicon. 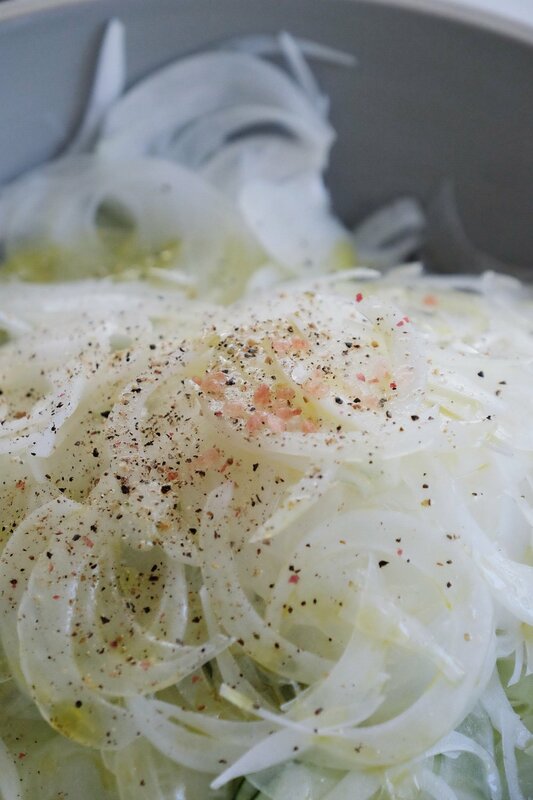 I love to make a big batch of my Cucumber Salad to keep in the fridge and eat for a few days. You only need a few ingredients and your ready to go! CUCUMBERS. 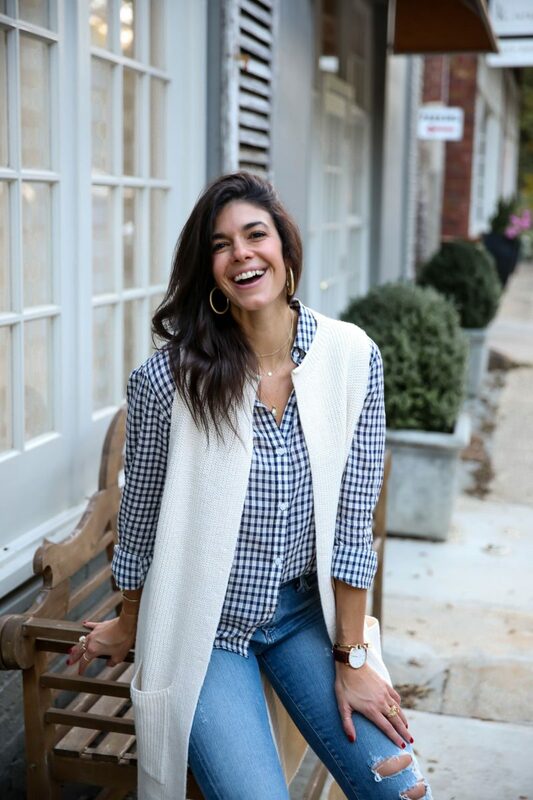 wash + cut off the ends. Using a mandolin, on the smallest opening/setting, start slicing your cucumbers. If you don’t have a mandolin, you can use a knife, but I really don’t recommend it. The mandolin gives you paper thin, uniform slices that your not going to be able to get using a knife. ONION. slice off each end, peel & get the first layer off your onion then cut in half. 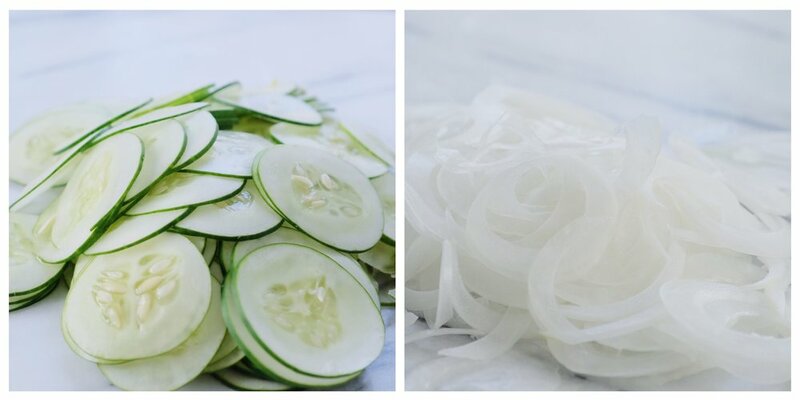 make your onion slices the same way as your cucumbers on the mandolin. You can actually play around with the knob on mandolin, turning it towards the lock setting a bit more to make your onions super thin. 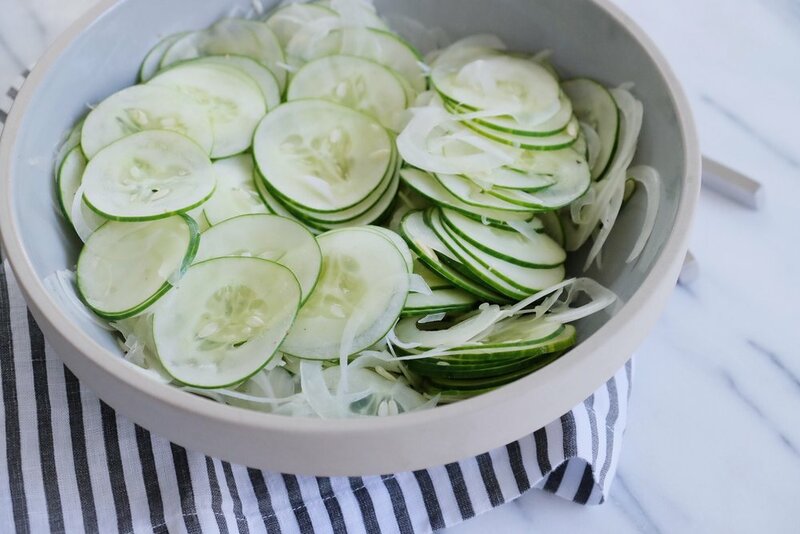 Place all your cucumber & onion slices in a large bowl. Add your olive oil, vinegar + salt & pepper and give it a good mixing. And that’s it – so simple! This salad gets even better as it sits in the fridge and starts to get a bit pickled – yum! Toss it into a mix of greens & other veggies or simply eat on its own. I’ve been making a giant salad of romain + my cucumber salad & other veggies like beets & carrots alongside a protein like chicken or fish.